Think of it as a comfortable, cool, clean, pleasant, and organized space. No longer relegated to a dark and untended corner in the basement, the laundry room has evolved into an important design element in new-home construction and renovations. Like the bathroom, the modern laundry room has changed into something inviting, stylish – and even trendy. Decked out with contemporary accessories – built-in cabinets and ironing boards, counter space for folding clothes, and the newest in washers and dryers – today’s laundry room can be as attractive as any room in the house. Who says a laundry room has to be dark and grungy? Color combinations and accessories make this laundry room – located next to the pantry – in a 2-story, 4-bedroom Craftsman style home – an attractive sight (Plan #153-1746). 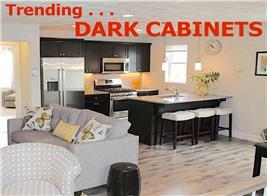 And these days, the debate surrounding the laundry room is location. 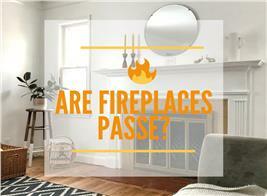 Should it be part of the mudroom, remain in the basement, or move to the garage, the second floor, or the main floor? 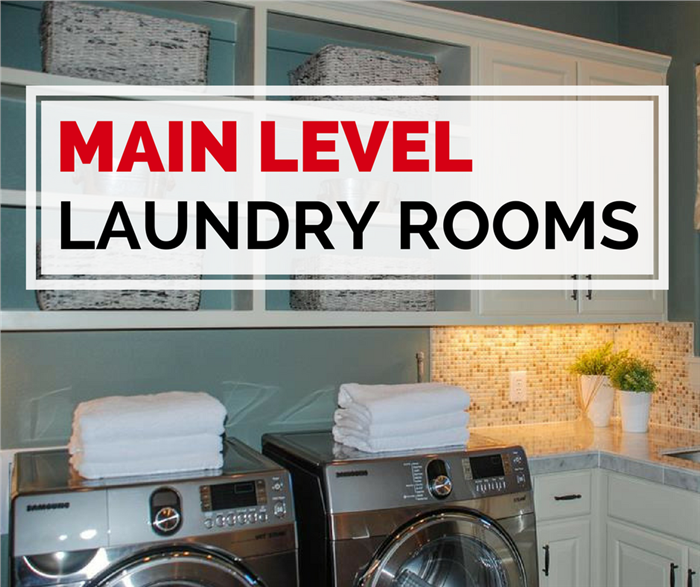 While there's no prevailing trend regarding where it should be situated, there are a number of reasons to consider a main-level laundry room. 1. Couldn’t Be Easier or More Accessible! Let’s face it. Most families do laundry on weekends – and who wants to spend all that time upstairs collecting dirty clothes, loading, unloading, and folding while everyone is gathered in the kitchen eating/catching up or in the living/family room relaxing and watching television. 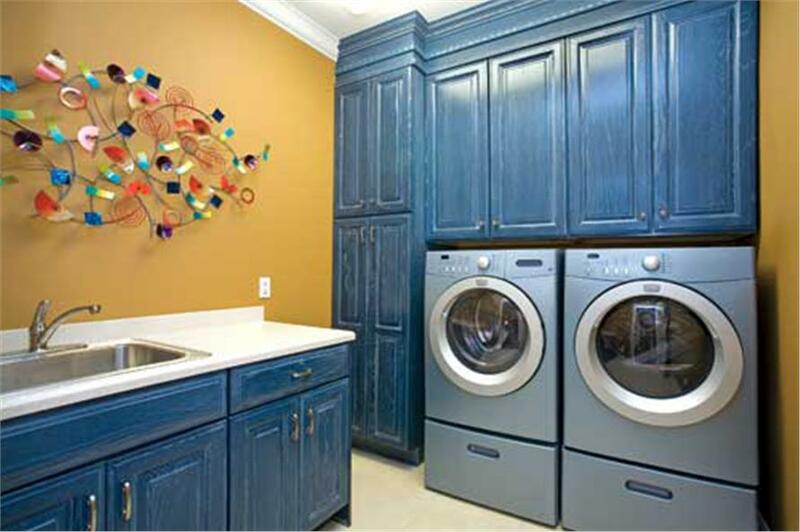 With the laundry room on the main floor, you can load laundry and not miss any of the activities happening around you. Also, multi-tasking becomes easier when the laundry room is on the same floor as the kitchen, dining/living rooms, and other social and common “family” areas. You can keep an eye on what’s cooking on the stovetop or in the oven while doing the laundry – and not miss an important part of the conversation or a play/score in the game. 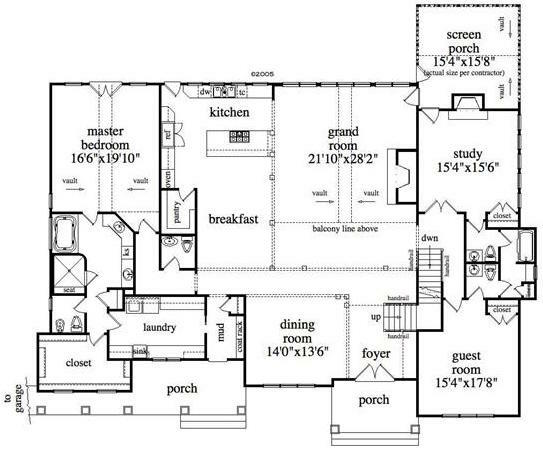 The main floor laundry room (top) in a 4-bedroom Craftsman style luxury home is just a door away from the kitchen and the Great Room, as shown in the floor layout above (Plan #163-1027). Who wants to hear vibrating sounds emanating from the machines when you’re reading, studying – or trying to sleep? Yes, new and improved washing machines and dryers can minimize the vibration, but they cannot eliminate the noise completely. This is another reason to have a laundry room on the main-level floor plan where you can throw in a load at any time – without disturbing the household, weekend guests, and relatives. Whether budget is no problem – or limited – any homeowner will appreciate some of the savings in installing a laundry room on the main floor. Just consider not incurring additional plumbing cost to bring water and drain lines to the second floor; insulation costs to neutralize the noise from the machines; or structural costs to reinforce the floors if the joists can't withstand the vibrations. Bottom line: a lower budget may win over the idea of having the laundry room on the second floor. Don’t make it just a stand-alone laundry room: think of all the things you can do with the space. Your laundry chores likely don’t occur every day, so you can design the room for other functions besides laundry that are primarily first floor “staples.” First among them is the mud room. Often located in the back entrance or the entrance near an attached garage, a mud room is the perfect space to pair with a laundry room. 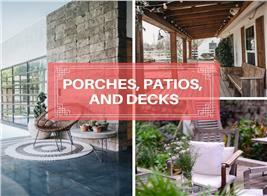 Both occasional – and practical – spaces, they can coexist easily, each fulfilling its task without conflict. 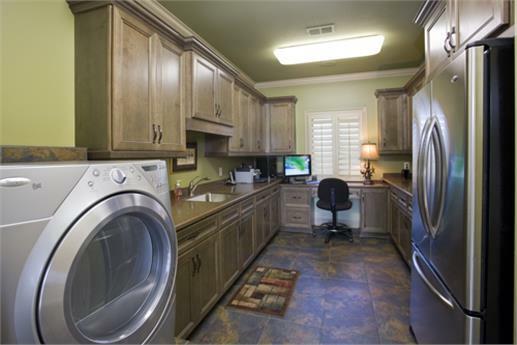 Or you can add a home office, for example, or a crafts room or a reading/nap corner to the laundry room. That way you aren’t wasting the space when laundry doesn’t need to be done. The laundry room in a sprawling 4-bedroom Country-style home includes a well-lit corner designated as a home office (Plan #153-1904). For homeowners looking toward their senior years, a laundry room on the first floor – like a master suite – makes the most sense. There are no stairs to negotiate, no heavy baskets and hampers to take up or down the steps. So while laundry rooms near the bedrooms upstairs may have some merits, think of the aging years when mobility is restricted – and a laundry room on the main level becomes an absolute must. 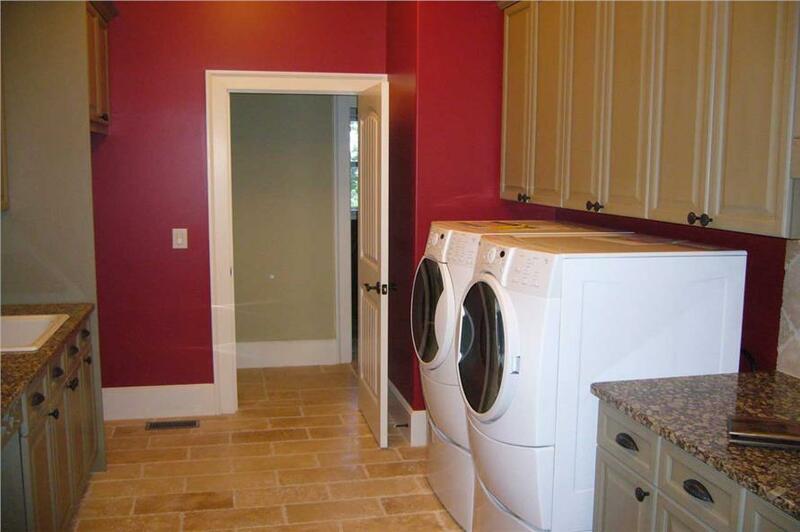 Like all your showcase rooms in your home, use some creativity and planning when designing the laundry room. Eventually, installing the laundry room on the first floor may be the right decision – now and in the future. Footnote: The lead image in this article is the main-floor laundry room of an award-winning 2-story, 4-bedroom Texas style house plan. For more details, click here (Plan #136-1030).